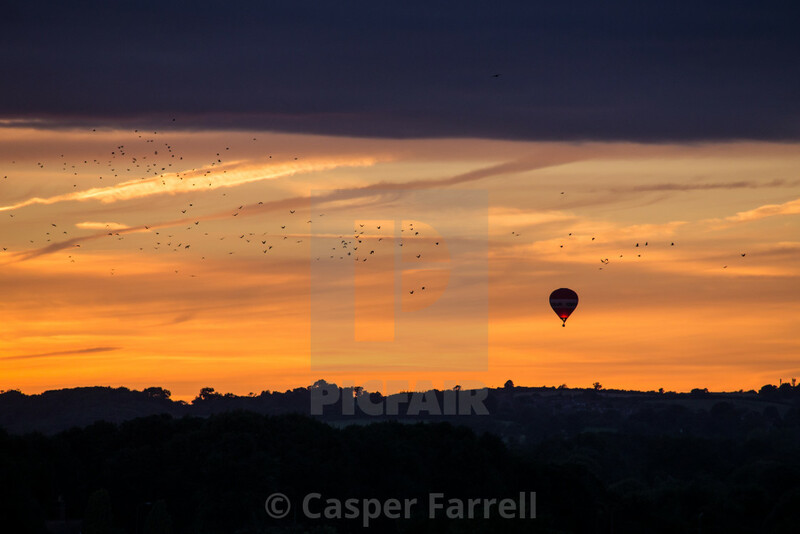 A stunning sunset acted as a back drop to a lone balloon from the International Balloon Fiesta in Bristol. The balloons drifted over the city of Bristol towards the hamlets of Bitton and Keynsham before touching down in random fields and parkland many miles from the Ashton Court festival site. This balloon fires it's burners to gain height as a flock of birds make their way to roost for the night.